I like to think that I’ve read quite a few biographies, though none stand close to this particular one. 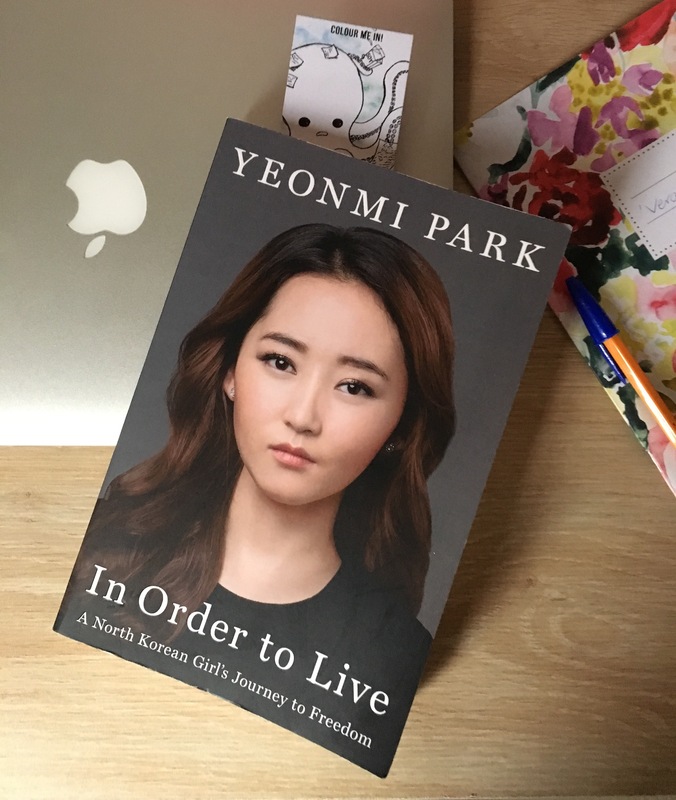 Yeonmi Park is one of the most resilient people I’ve ever had the pleasure to read about. Well, to tell the truth, reading the beginning of her story was anything but a pleasure. It was heartbreaking and confronting from page one. She has had a cruel life, but still maintains the courage to speak about her struggle to get out of her home country, North Korea. I was anxious to see inside a country we have all heard about; to hear stories of its looks and its people and the way life is in this place we have never seen, and will most likely never be allowed into. It was astonishing and honestly, almost unbelievable, to read about the faith that North Koreans citizens place in the hands of their leader, their ‘God’, Kim Jong-Il and his father Kim Il Sung, even after having lived for decades in unrelenting poverty. We are also shown into Changbai, a city on the border of China and North Korea; a place where prostitution and the like are commonplace. Park mentions that she has never told this part of her story before writing about it in her biography: ‘I convinced myself that a lot of it never happened; I taught myself to forget the rest’. It was difficult to read, but don’t let that put you off. English is not Park’s first language but I promise you, you won’t notice. Her writing is impeccable, her story so much more than painful. The horrific things that she has survived are a testament to her character; I will leave these for you to read in her novel, it is more than worth the purchase. Her life now is one of perseverance, as she is still followed closely by the North Korean Government. She speaks to University graduates about dreaming larger than they could have ever thought to dream; Park escaped from her home country when she was just13 years old, having the literary and mathematical skills of a seven-year-old, and ended up finishing high school and graduating from a top university in Seoul, South Korea. Her determination to succeed is a marvel in itself. If you are looking for a reason to read ‘In Order to Live’, then look no further. Penguin Books have made her dreams of sharing her story worldwide possible. Yeonmi Park and her family are awe-inspiring women. Take the time to read about her life; you will be forever changed afterward. Why do I want to be an editor? Lauren Magee on Verandah 31 Launch! themediaedit on Verandah 31 Launch!